Virginia Rep’s production of Once isn’t your typical musical in any way, shape, or form. 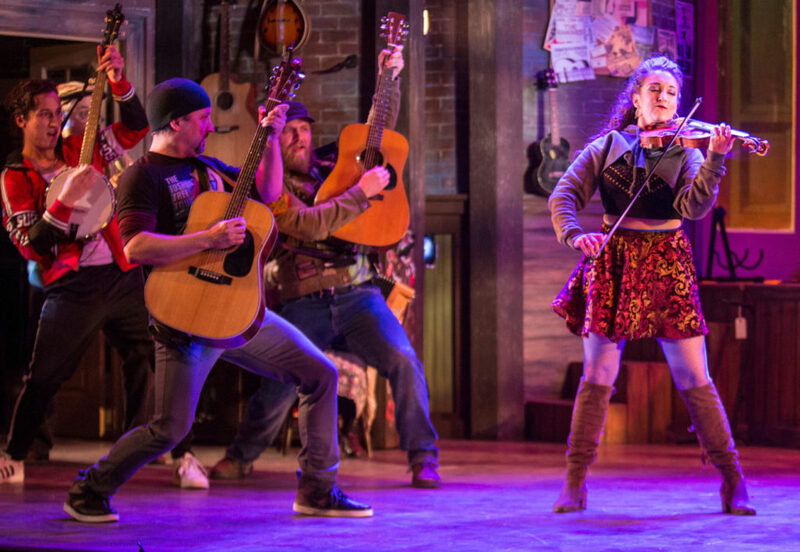 You realize that about thirty minutes before the production when the actors who are all also musicians, singers, and dancers start strumming some bar-worthy Irish tunes in the lobby. Add to that strolling Irishman selling beer and you have a real Irish party long before the action of the play begins. The fun doesn’t stop there. The actors make their way down the aisles of the theatre and onto the stage where they continue entertaining with several rousing songs. The strolling beer salesmen follow suit and the party continues. A few minutes later, the lights dim and Once begins. This intimate boy-meets-girl musical doesn’t follow the rules of convention. It quietly draws you in and grabs hold of your heart early on. It takes you on an adventure called life where sass and humor intermingle with love and heartbreak. It’s a simple story that becomes very complex. To say that the talent gathered on stage is superb would be a gross understatement. Each actor on stage is a quadruple threat in the world of entertainment. The music that is produced by this cast of characters at times feels like a symphonic eruption. At other times, it’s the power of a single guitar or a piano key that strikes a chord. Director and choreographer Nathaniel Shaw has history with this musical, and it shows on stage through precise timing and movement. Leads Ken Allen Neely and Katherine Fried are one with their characters. They passionately embrace their roles, making the characters genuine and human. They are lyrical, soulful, and believable. They are riveting to watch. Jon Patrick Penick who plays high-spirited Billy brings a contagious energy and enthusiasm that brightens the stage. I would like to note that because the show takes place in Dublin, Ireland, where the dialect has a certain cadence and lilt, it was difficult at times for my friends and I to pick up every word of dialogue, which tended to derail my attention at times. But that’s a minor hiccup. Kudos also go out to scenic designer William James Mohney for his creative, realistic set and to costume designer Ruth Hedberg for costumes that set the tone and the time period. Once is a show with heart and humor. It demonstrates the value of connections and the power that love can have, even if it doesn’t always end in a fairytale. The show is best suited for teens and older audiences because of some language. 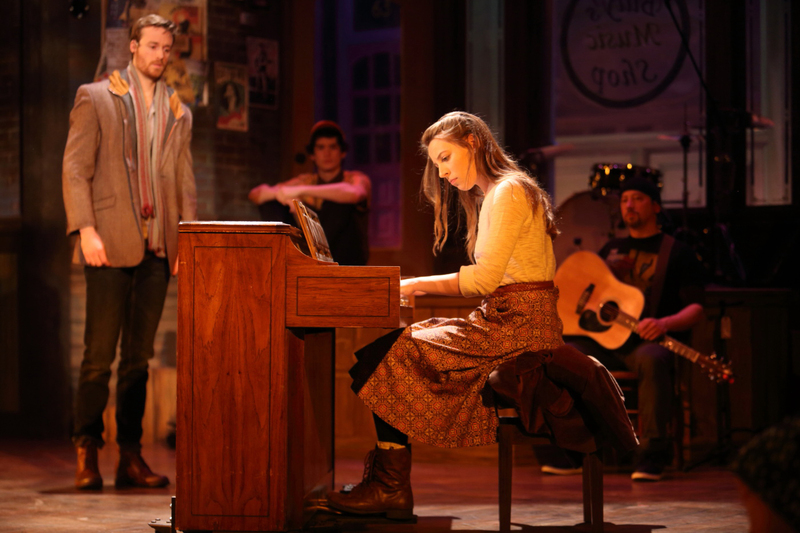 Once runs through March 3 at Virginia Rep’s November Theatre. For showtimes and tickets, go here. For more on Once, read Joan’s interview with Nathaniel Shaw in Just Joan: RVA Storyteller presented by Saxon Shoes.